Hello... Sorry to bite off of a fellow Jalop, but I need opinions, and the NPoCP format seemed to be a good way to go about getting them before we list the car. My father is currently the owner of what was my grandfathers 1989 Porsche 944 Turbo. It’s technically a 2 owner car, though my dad has put but a handful of miles on it since taking ownership of it. The car is all original aside from the front bumper, which was damaged and replaced after my grandfather cracked it by running into his push lawnmower while pulling it in the garage. There was no major damage of any kind. This car is otherwise accident free. My father is planning on selling it. He has one price in mind, but personally, considering the prices I’ve seen higher mileage examples sell for on eBay and elsewhere, I think he’s low-balling himself. I will not disclose either of our prices yet... Before I get to the prices, I’ll get to the rest of the pics. As you can see. the exterior is in very good shape... The paint has minor blemishes here and there, but there’s nothing a good detail couldn’t fix. As you can see. the trunk is clean, and the carpets are in good condition... and yes, that is the original trunk mat. As you can see from these pics, the engine bay is clean, and everything is 100% original and correct. The engine runs strong, having been serviced regularly and on schedule. The manual transmission and clutch work flawlessly. For those who might have trouble reading that, and to confirm for those who don’t... Yes, that says 37,442. That means in the last 26 years, it has averaged a tad over 1,440 miles per year. As you can see here, the dash is in excellent condition, and has no fading or cracking. If you look closely, this car is still equipped with the High-end (for 1989) Blaupunkt stereo head unit. The stereo is still fully functional, and the speakers, which are in great condition, sound excellent for being 26 years old. 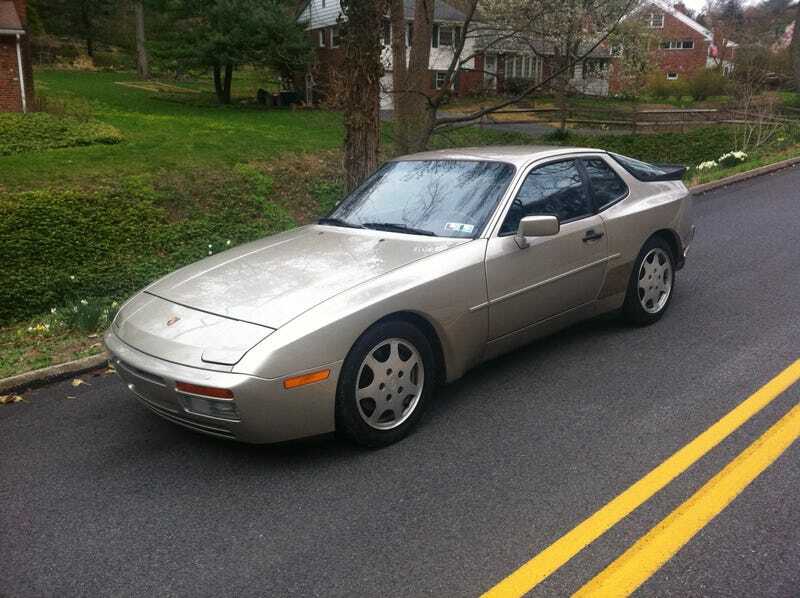 It is an almost pristine example of a 1989 Porsche 944 Turbo. It has 37,442 miles on it. No accidents. Interior is in excellent condition. Personally, I think considering all of that, and the fact that this 1986 Porsche 944 with 175,000 miles on it sold for $18,299 this last February, that this 944 Turbo is worth around $25,000... My dad seems to think it’s only worth about $15,000. So... Who gets the Nice Price, and who gets the Crack Pipe? Let me know in the comments below. Mid-Engine GM Prototype Confirmed as the C8 Corvette? When It May Debut, And Possible MSRP Revealed. How Much Duckpower Does Your Car Make?